With Kim Kardashian herself in town, it’s high time we explored the wonderful world of the Kardashians – from nine seasons of Keeping Up With The Kardashians, to their many spin-off series, to countless other pursuits. 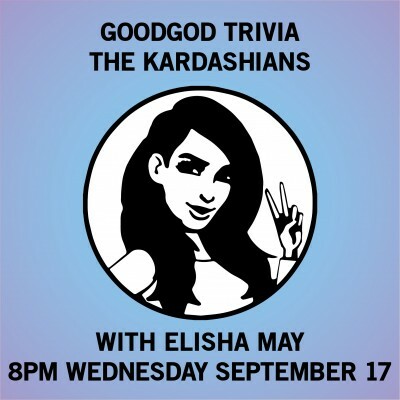 And who better to host than Goodgod Trivia extraordinaire Elisha May? Grab a crew, hustle a prime table, get some drinks and play to win food, jugs, and heaps more! First questions from 8, free entry. As always, delicious eats from Jonkanoo Canteen and drinks from the bar available all night!